When drivers in the Merrillville and Crown Point area are searching for a reliable carmaker that’s been trusted by generations to be both safe and reliable, they turn to us here at Team Honda, and our extensive collection of high-quality Honda models. At Team Honda, we’ve been a top choice for Indiana drivers for a long time, and it’s easy to see why. We strive to give our customers the best experience for buying and owning a vehicle, with our in-depth collections of available vehicles, and our topnotch service and financing expertise. For our customers who need a new vehicle, but aren’t interested in buying a brand new model, we also have an incredible selection of pre-owned cars, trucks, and SUVs available. Our used vehicle collection includes many Honda models, of course, but, it also offers many other popular carmakers as well, such as Subaru and Acura. Whether you want the peace of mind of a warranty-backed, certified pre-owned Honda, or you just want a great deal on a used car with high mileage, you can count on the pre-owned collection here at Team Honda to have something for every personality and budget. Regardless of whether you choose a brand new Honda, or a pre-owned deal, count on the Team Honda finance center to help you budget for your purchase. We’ll work with you, and multiple financial institutions throughout the greater Schererville area, to get you the perfect lease rate or loan agreement that works for you. Long after you drive off our lots in your new, or new-to-you, vehicle, we aim to be there for you. We want our relationship to last as long as you drive your car. That’s why we provide a full service center, staffed with automotive experts who can handle all of your car’s big, and little, repairs. From routine oil changes and tire rotations, to larger, specialized repairs, our in-house team of Honda experts can handle it all. Plus, if you decide you want to customize your vehicle at any point, you can count on our parts center team to help. We have access to just about any part or accessory you might need, and we only deal in genuine, manufacturer parts. We make sure the replacement or new parts you get are always the perfect make and design for your exact vehicle. 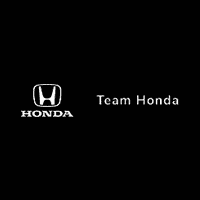 Great place to buy a new or used Honda nice friendly helpful staff that are willing to help you how ever they can!